spots but couldn’t get to that breakfast until the Phillies shirts came out and this moment in time was immortalized with their love! Thanks so very much for a great time! 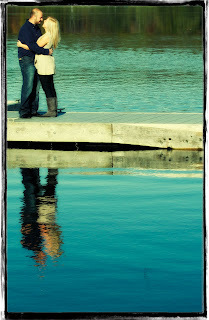 It was such a pleasure to do the engagement photographs for Julia and Jason. Both love the outdoors and Longwood Gardens was the perfect spot. Photographing in the Conservatory was as good as having a huge soft box. They were great fun to be around and just radiated happiness. In fact, while we were photographing, a gentleman watching the interactions, couldn’t resist commenting about how much we were enjoying ourselves. He was so right! Best wishes Julia and Jason!